With this new fall TV season bringing another onslaught of sitcoms for our delight, it stands to reason that some of them would try something different to stand out from the crowd and bring something different to the comedy party. 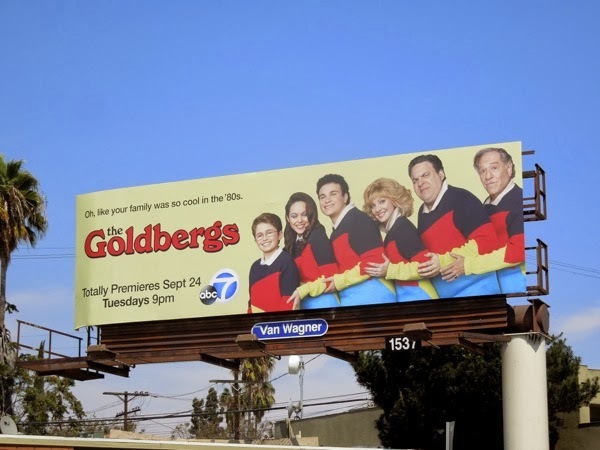 ABC has decided to step back in time to the 80's with The Goldbergs, to see if it can mine some comedy gold from the decade of big hair, big shoulder pads and matching family sweaters. Do you remember the days of leg-warmers and neon, punk and President Reagan fondly, before the likes of the internet, iPods, DVRs and digital everything? 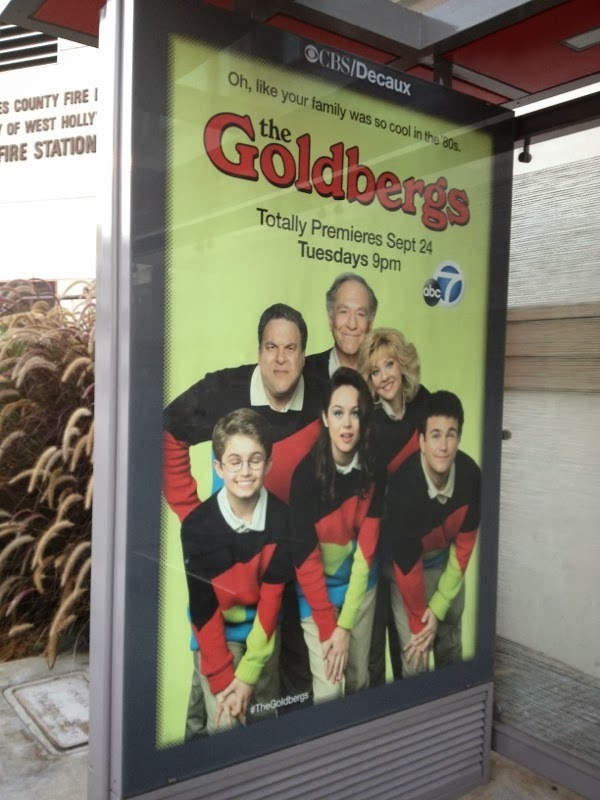 There's just so much nostalgia for the sitcom to exploit, especially where a family is involved. 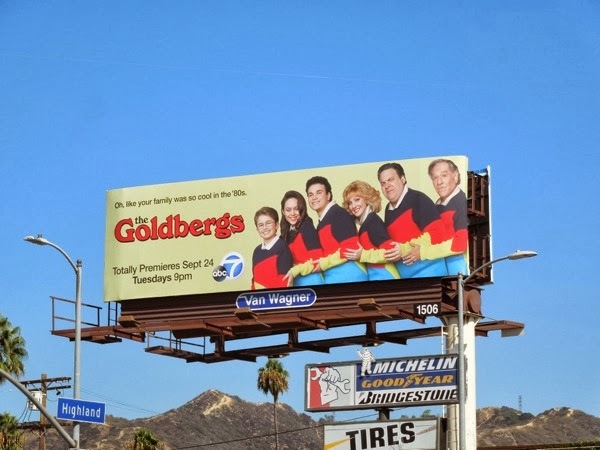 Fortunately the new family show has Bridesmaids Wendi McLendon-Covey as 'Mom Goldberg', Curb Your Enthusiasm's Jeff Garlin as 'Dad Goldberg' and Retired at 35's George Segal as 'Pops' to add some comedy credentials. 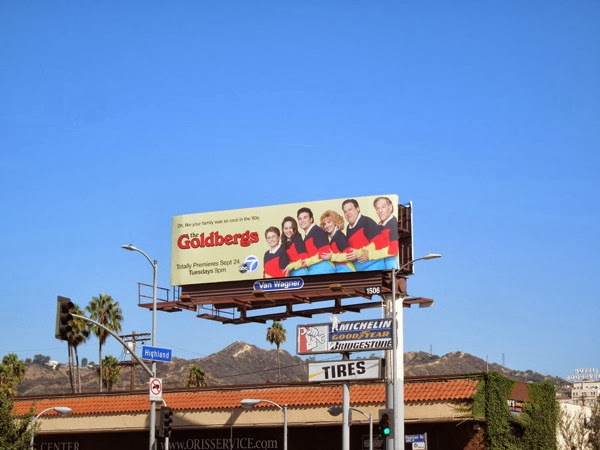 These fun retro billboards and bus shelter posters for the new series, which remind us of the days before digital cameras when you closed your eyes in a family portrait and didn't know until the photos were developed, were first spied along Pico Boulevard on August 31 and more along Highland Avenue and Melrose Avenue on September 3, 2013. 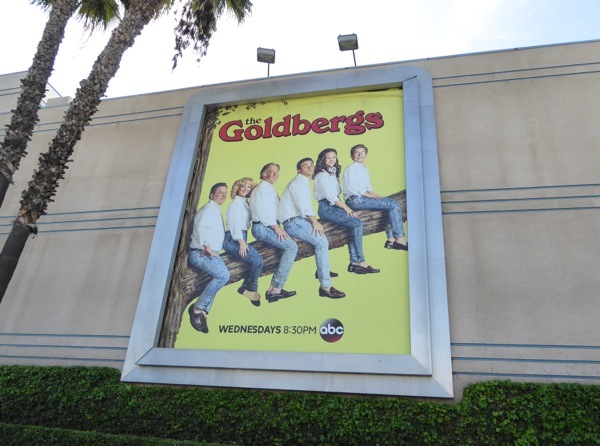 There are certainly challenges with setting a show in the 80's from a cost and authenticity perspective, as the Russian sleeper agent drama series The Americans has discovered, but only time will tell if this new throwback sitcom will appeal to today's audiences. 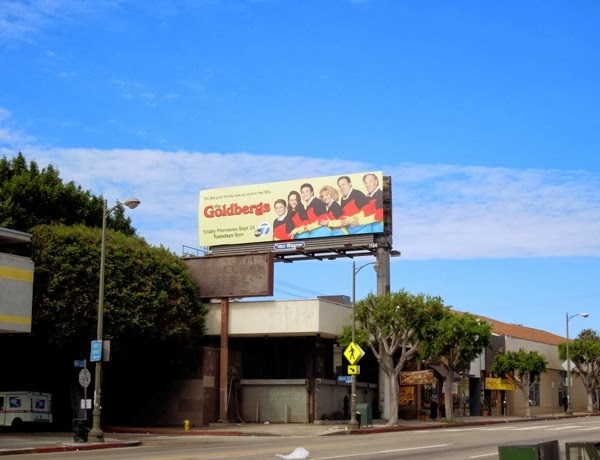 UPDATED: Here's also the season two key art for The Goldbergs spied along Melrose Avenue on March 28, 2016.